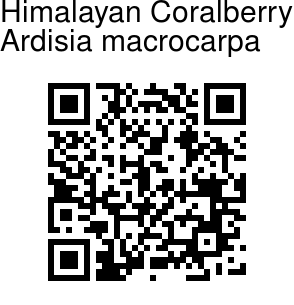 Himalayan Coralberry is a forest plant growing to 1 m tall. Leaves are soomth, narrow lance-shaped, with margins crisped and rounded-toothed. Pink flowers arise on short stalks, in umbels at the end of branches. 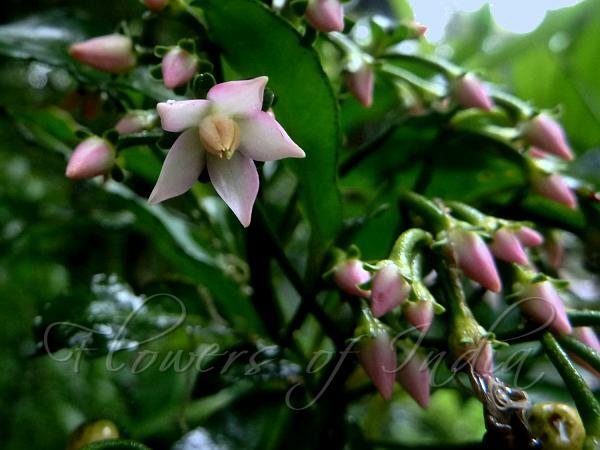 Flowers are stiff, have 5 narrow-oblong sepals, and lance-shaped pointed petals, 5 mm long. Berries are bright glossy red, round, depressed at the tip. Himalayan Coralberry is found in the Himalayas, from Uttarakhand to Sikkim, at altitudes of 1500-2400 m. Flowering: April-July.